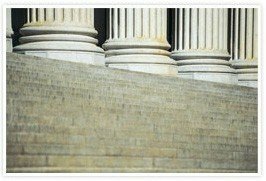 Responsibilities of the Personal Representative | Platt & Westby, P.C. Confidentiality.Confidentiality is inherent in the duty of loyalty. Information about the estate or its affairs should never be disclosed to unauthorized persons. Avoiding conflicts of interest.A Personal Representative cannot place himself in a position where his interests might be favored over the interests of the beneficiaries. Aside from a reasonable fee for services rendered, a Personal Representative cannot derive any personal advantage or realize a profit in dealing with the estate. The duty to exercise care, diligence and prudence.A Personal Representative has a duty to exercise care, diligence and prudence in dealing with the estate's property. Conduct will usually be considered reasonable if the Personal Representative acts as a "prudent person" would act. This "prudent person" theory means that the Personal Representative must act with all the care and skill that a prudent person would exercise in his own affairs. The duty to preserve and protect estate assets.A Personal Representative must preserve and protect the assets of the estate. This is particularly important in the case of assets such as real estate, household furniture, furnishings and coin, stamp, art and other collections. There is a duty to provide adequate security and protection for these items, so it is necessary to have an insurance agent review all of the estate's assets and immediately obtain sufficient insurance coverage. A Personal Representative may be held personally accountable for any loss that occurs on uninsured or underinsured assets. With regard to investing, a Personal Representative’s first duty is to protect capital and avoid undue risk. But there is also a duty to use reasonable care and skill to make property productive, within the guidelines of the Will and state law restrictions. If estate money is invested in speculative ventures, a Personal Representative can have personal liability in the event a loss is sustained, unless that investment is authorized specifically by the terms of the Will. The bottom line is that a Personal Representative must exercise prudence, discretion, and intelligence to safeguard the estate's principal, but at the same time generate as much income as is reasonably possible. The duty to maintain accurate records and account periodically to beneficiaries.Maintaining accurate records is another important duty. Beneficiaries are entitled to a periodic accounting. Letting them know what is going on is an extremely good way to avoid litigation, and maintaining accurate records greatly reduces the possibility of violating the duty of loyalty. Conversely, if a Personal Representative does not maintain good records, he or she may be held liable if there is a loss or expense that can be traced to the failure to do so. The duty not to delegate responsibilities involving major judgments and discretion.A Personal Representative may not delegate fiduciary responsibility. This duty "not to delegate" is derived from the very nature of the position of Personal Representative. Obviously, a Personal Representative is entitled to employ counsel and accountants and others to help in the work of the estate. But there remains a duty to the beneficiaries of the estate to supervise the conduct of the people and professionals hired. The duty to act in a timely manner.An astonishing number of lawsuits involve a Personal Representative's failure to file tax returns in a timely manner. Unless there is reasonable cause for not complying with the time requirement, a Personal Representative can be held personally liable for interest and possibly penalty charges if the tax is late or not paid. Similarly, there is a duty to complete the work of the estate in a timely manner. Failure to do so may result in the removal of the Personal Representative and the appointment of a new Personal Representative who will act more responsibly. The duty to communicate.Part of the duty of loyalty to the estate beneficiaries is the duty to communicate with them in a timely and informative manner. A close relationship with the other beneficiaries, fostered by constant and thorough communication, will serve as a natural deterrent to conflict and minimize the possibility of liability. By taking the time to discuss estate transactions, a Personal Representative will invite discussion and settlement rather than litigation. There are penalties for breach of these duties. A Personal Representative can be removed if he/she is not doing the job in a timely manner or if he/she is doing a poor job. If the breach of duty is intentional or negligent and the Personal Representative is personally at fault, he or she may be "surcharged"- that is, held liable for damages resulting from that breach. In other words, a beneficiary can sue to recover those values that he or she would have enjoyed had there been no breach of duty by the Personal Representative. For more information on responsibilities of a Personal Representative, contact our office or 602-277-4441 to speak to a Phoenix estate planning attorney at Platt & Westby.